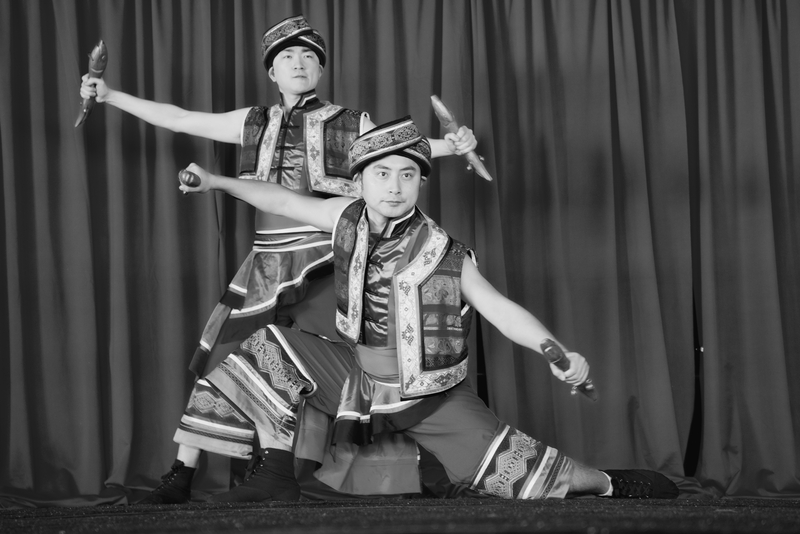 Chinese performers strike a brief pose during their dancing act. In the 1981 movie “My dinner with Andre” – by Louis Malle- the Andre Gregory character, a metteur en scene of the world of theater, bitterly complains about modern audiences. He says that audiences are so enthralled in the roles they play in their own lives that no one could possibly play those roles better than they do. We have all become the great actors of our own existences. Thus, the futility of modern theater. Because theater, old or new, requires that audiences step out of their own mundane lives and step into a different world for a moment or two. If we engage so intensely in our own little world, why would we even consider entering the parallel universe of theater? Would we even understand theater? We do forget that we are actors and acting is what we do everyday. In many instances, we are handed down life roles without us asking for them. In other instances, we willingly seek and embrace particular roles. We play those roles of mothers,fathers and sons, husbands and wives, lovers and cheaters, we play the roles of students and teachers, of managers and employees, we play the roles of doctors, nurses, lawyers, engineers, CEO’s, writers, journalists and so on. We may believe we are great cooks but we are really not. We are just good at the game of being a cook. We may think we are great athletes. We are not: we are just having an outstanding performance. Role playing is a transient business, it is well delimited in time or by the circumstances. Both, time and circumstances are bound to evolve, by definition. I’ve enjoyed reading this yet another wonderful piece by Tino.Having gone through my wedding ceremony recently I’ve learned a thing or two about role-playing. Yes! Actually a wedding is a perfect example of role playing. Thank you very much, Ms. Graciano!